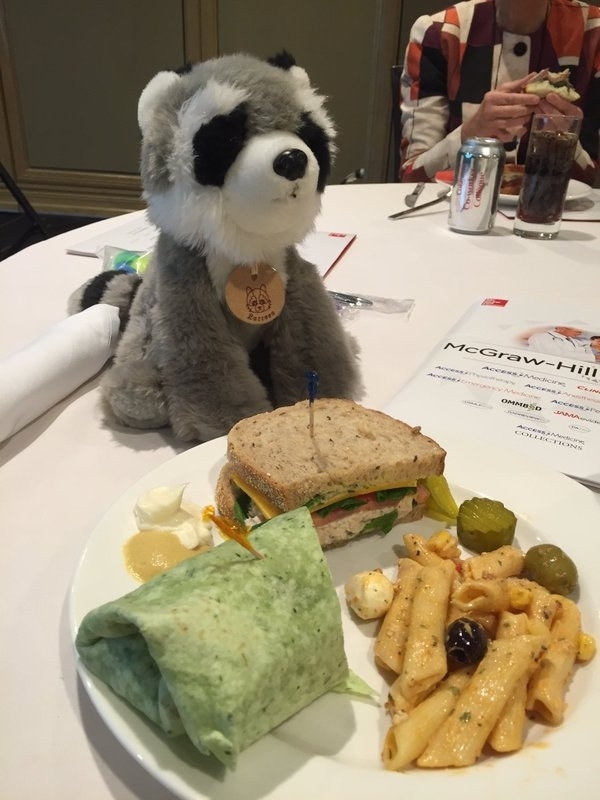 Few information professionals are as resourceful about finding Canadian specialties on a budget as Mosie the Mosaic Meeting Mascot! Here are few must tries, much of which can be found at Toronto’s St. Lawrence Market, just a 10 minute walk east of the Royal York Hotel on Front Street National Geographic has ranked it as the World’s best food market. Here is a list of must-try foods that won’t break the bank. Back Bacon on a Bun: Our U.S. neighbours call this “Canadian bacon.” We’re flattered, but that’s inaccurate. The city’s favourite ones are at the St. Lawrence Market. Anthony Bourdain of the Food Network and CNN recommends Carousel Bakery. Carousel also has a smoked Arctic char sandwich, widely regarded as one of the most delicious sandwiches in the city. Butter Tarts: Small tarts filled with caramel and raisins—much like a pecan pie but without nuts…and more butter Widely available. Montreal Style Bagels: Thinner than a New York bagel with a delicious, distinctive flavour. Authentic versions are baked in a wood-fired oven. You can find them at St. Urbain in the basement of St. Lawrenence Market. Montreal smoked meat: Comparable to pastrami, but not as sweet, and with more pepper. Widely available, but not always at the market. Noun Cdn: a dessert consisting of a crust of chocolate and cookie crumbs, usu. also including cocnut and nuts, covered with a usu. vaniall buttercream filling and a chocolcate glaze, served cut into squares. Nova Scotian Donair: It’s like gyros, but with a taste of Down East, often made with ground lamb. Widely available, but not always at the market. Perogy: Yes, we know these are Slavic, but they’re also international comfort food. Widely available. Poutine: Traditionally just fries, gravy and cheese curds, poutine is often the base of a more elaborate meal. more. It is distinctly Québecois, but gaining popularity in Toronto. Available widely, particularly where beer is sold. Smoked Canadian Seafood, caviar and more. The basement of the St. Lawrence Market has a delicious fish boutique, a perfect place to get souvenirs. Tourtière: This French Canadian meat pie is traditionally served at Christmas, but you can find it year round. Widely available, but not always at the market. BlogTO’s Best Of: has hints to help you find the best of anything in Toronto, on a budget.